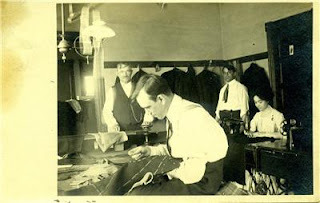 Showing a tailor sitting cross-legged on a table, with one female seamstress. Mom showed us how to baste, 1/4 inch across and 1 inch down, only with white thread, very fussy, and you did it from bottom to top to keep it straight. So now all three girls are ready to take on the world, and so happy. About this time, my Grandpa Edwin died, a big upset of course. Grandma and all the children, Ann (my Mom,) Fred and Will decided to sell up and go to Canada. Before they left, a party was held for the three girls, and they promised to work hard, save their pennies and come to Canada when they were able. Letters flew back and forth, Sarah and Mary planned and saved. 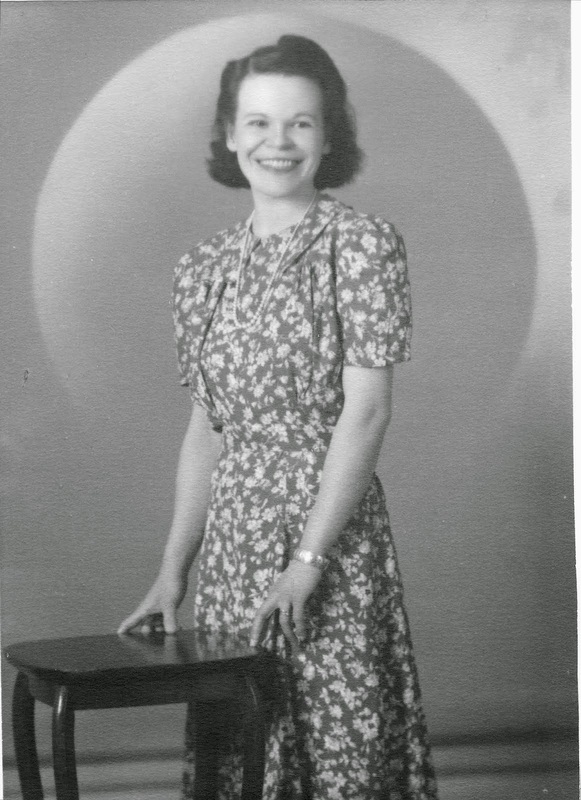 Grandma, her sons and my mother worked and thrived. My mother met my Dad and got married May 19th, 1909 and they settled in Medicine Hat. By now, Mom and Dad had a 1 1/2 year old baby. Twelve years had passed since they left England, and the two girls, Mary and Sarah, sent my mother a letter to say, "We are on our way to join you in Canada, we will stay with you as you said, till we settle in. We saved our money and now we will be with you, Walter and Annie, for Christmas. We are very giddy right now. 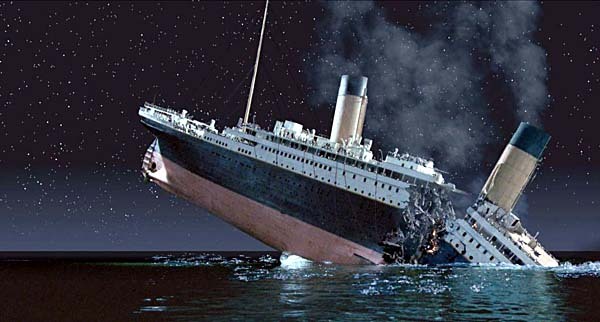 The ship we are booked on is beautiful, called the Titanic. We'll see you, Annie and Walter, at Christmas." Both girls went down with the ship. *see my note below. My parents were devastated. I often think of those happy, lovely girls at this time of the year. I have a picture of my Mom with Sarah, but not one of Mary. What a terrible accident that was. Those girls would meet again in 1940, the day Annie, my Mom, died. I often wonder about life. Letty could not watch movies about the Titanic, despite the fact that she was not even born at the time of the sinking. The impact on her mother must have been profound. A very personal story of a very public tragedy. Sadly, I no longer have access to the photo of Annie and Sarah, but I have seen it. They were wearing white, frothy, long dresses of the period, and carried white parasols. I searched the Titanic passenger lists, and found a Miss Sarah Roth, who was listed as a tailor; however, she was engaged, and married her fiance a week after the disaster. They lived in Manhattan but later moved to New Haven, Connecticut. I could not find a "Mary" departing from Southampton, single, about the right age (25-35) in either third or second class. Another mystery!